I remember my dad helping make a fishing rod out of a bamboo pole. I tied some fishing line to the end, tied on a hook, put a bobber on it and I was ready to go! 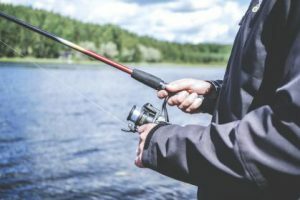 You can definitely catch fish that way, but there are so many rods and reels available today that can really enhance your fishing experience. It makes a difference what you are fishing for. Do you want to catch catfish, bass, crappie? Are you fishing in salt water or fresh water? There are several things to consider. Fortunately, you found FishingWithHans.com and I’ll have information on my site that will help you find the best rod and reel for your fishing trip. If you have any questions about the best rod or reel to use for a particular type of fishing just leave me a comment below.